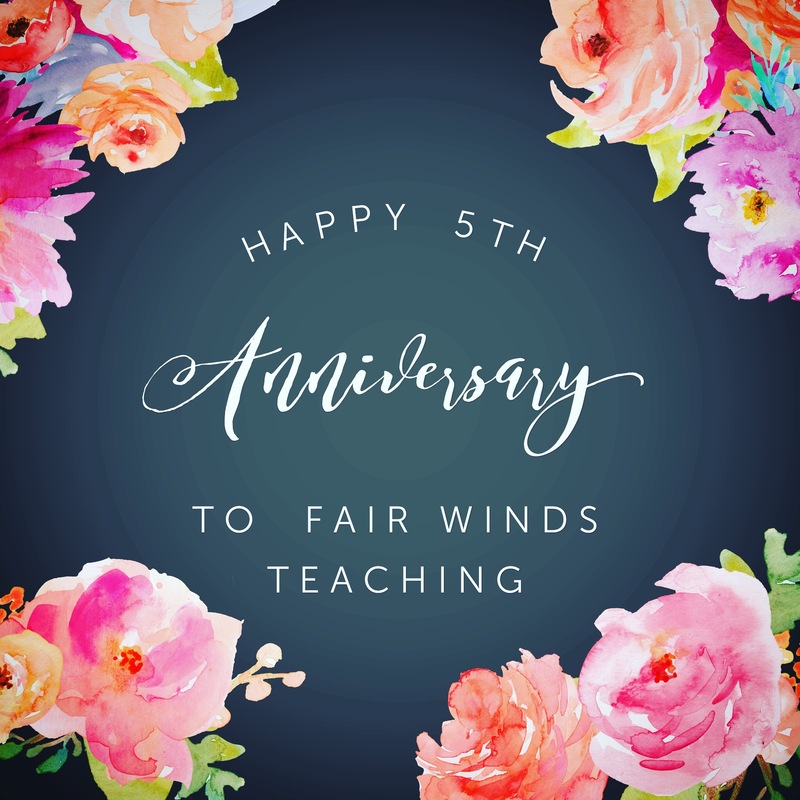 I am beyond excited to share that I have been blogging for 5 years! It has been an amazing journey where I have LEARNED so much and shared my experiences with so many people from around the world! I have also started a few partnerships and reached out to new companies to work with. A lot of new things are in store including technology review and GIVEAWAYS! I have also started an Instagram page, follow me at fairwindsteaching. I look forward to doing this my entire teaching career, I have met so many amazing educators that have inspired and supported me through the years!